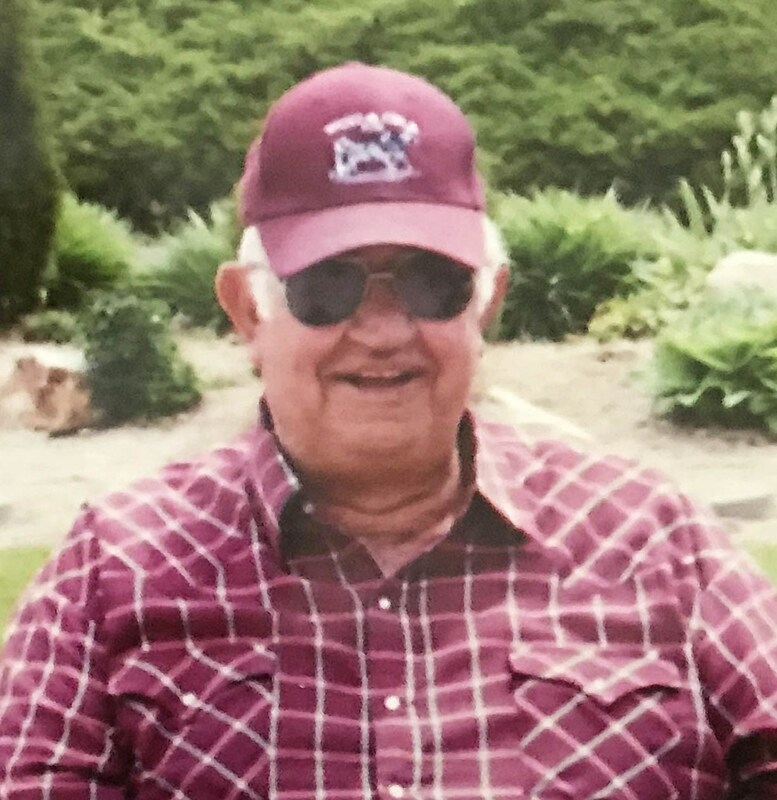 BURLEY – Scott R Loveland, an 84-year-old resident of Burley, died Sunday, June 10, 2018, at his home. Scott was Born on October 14, 1933, in Yost, Utah, to parents Don Chester and Amy Loveland. He was the baby of the family; his brothers and sisters are Glen (Wanda) Loveland, Don (Dorothy) Loveland, Ardel (Yvonne) Loveland, Eulene Coburn. All of his immediate family has preceded him in passing on. Growing up on a ranch in Yost meant tending to bands of sheep, lambing, farming, trading horses and gathering cattle. Work was hard and long and there was no babying from his father. They sold the ranch and moved to Burley after his mother passed. When he was in the ninth grade he got a job cutting meat for 45 cents an hour. He really enjoyed high school, made many good friends and played a lot of football and basketball. His dad passed when he was 17, a senior in high school. He went to live with the Woodbury family after that. He stayed with them during the summer and went to college in the winter. He worked as a meat cutter in his spare time while getting a carpentry degree. On September 11, 1952, Scott married the love of his life, Vera Mae, which union was sealed in the Logan Utah LDS Temple. They started their life together and began farming with the help of Leland Woodbury and his brother Glen Loveland. They had four wonderful boys, Monte (Melody) Loveland, Kevin(deceased)(Laurie) Loveland, Gary (Pamela) Loveland, Kent (JoAnn) Loveland. He was a rock for his entire family and gave countless words of advice and funny jokes. His smile and spirit always inspired and could light up a room. He enjoyed time with all the 11 grandkids and 13 great-grandkids. He and Vera Mae made sure to attend sporting and important events for all of them. He instilled a great work ethic in all the grandkids, whether it was teaching them to start siphon tubes or other of his many farming practices. He attended The Church of Jesus Christ of Latter-day Saints – View church and really enjoyed all the wonderful people and the different callings he served in. He and Vera Mae also served a stake mission for the church. Scott loved his horses. He started riding in the Cassia County Sheriff Mounted Posse in 1956; they won the state posse meet in 1974, and he was Captain of the team. He bought his first race horse in 1965 “Lonely Lemhi”. They raced in Idaho, Wyoming, Nevada, Utah, Colorado and California. He did chariot racing in the winter and some of the horses they would run in the summer. He made so many lifelong friends that shared in his racing joys. One of his life goals was to win the World Championship Cutter and Chariot Racing Association, which he achieved in 1982 with “Mr Bo Chick” and “Mr Move” with Scott as the driver; and again in 1983 with “Mr Bo Chick” and “Short One Sock” with Gary as the driver. He passed on his love and passion of horse racing to his sons and grandkids who went on to continue his legacy. He enjoyed life to the fullest; the memories that meant the most to him were the ones with his family. He felt blessed for his lineage and for the people that influenced his life. The funeral will be held at 2 p.m. Friday, June 15, at The Church of Jesus Christ of Latter-day Saints – View Church, located at 554 S. 490 E., of Burley. Burial will follow at the View Cemetery. Friends may call from 6 until 8 p.m. Thursday, June 14, at Rasmussen Funeral Home, 1350 E. 16th St., in Burley, and from 1 until 1:45 p.m. Friday preceding the service at the church.